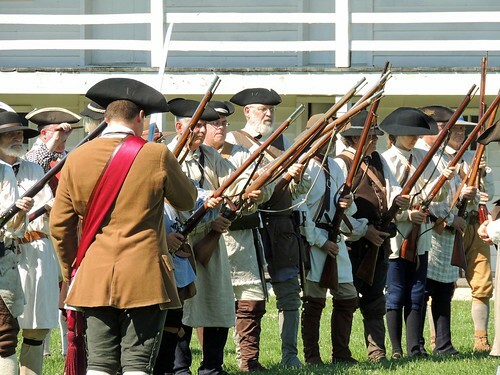 Fort Frederick State Park invites visitors to experience life for a citizen-soldier in the Maryland militia during the French and Indian War. The event takes place 9 a.m. to 5 p.m. Sept. 29, beginning with a flag raising ceremony over the historic fort built in 1756. The militia was an essential part of colonial society. Mustering days, though martial in practice, were a day where entire communities could come together for a day of military drill, sport and eating and drinking – and now modern-day Marylanders can experience it for themselves. Guest can join the fort’s interpretive staff in military drill and compete to see who is the fastest and strongest in foot races and shot put. “Fort Frederick’s militia muster hopes to teach visitors about the role of the militia in colonial Maryland,” said Park Ranger Rob Ambrose. There is a service charge of $3 per vehicle for residents and $5 for nonresidents. Visitors should also be advised that disabled access is available, although most of the activities are on grassy areas.